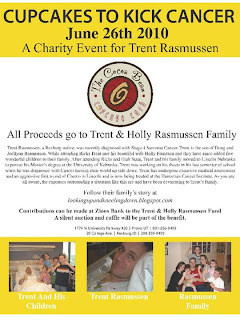 We are hosting a charity event for Trent Rasmussen on June 26th. Trent was recently diagnosed with stage 4 sarcoma cancer and we want to help their family in anyway that we can! Please come to The Cocoa Bean on the 26th-ALL proceeds from that day will go towards Trent and his family. We will also have a raffle and silent auction available. 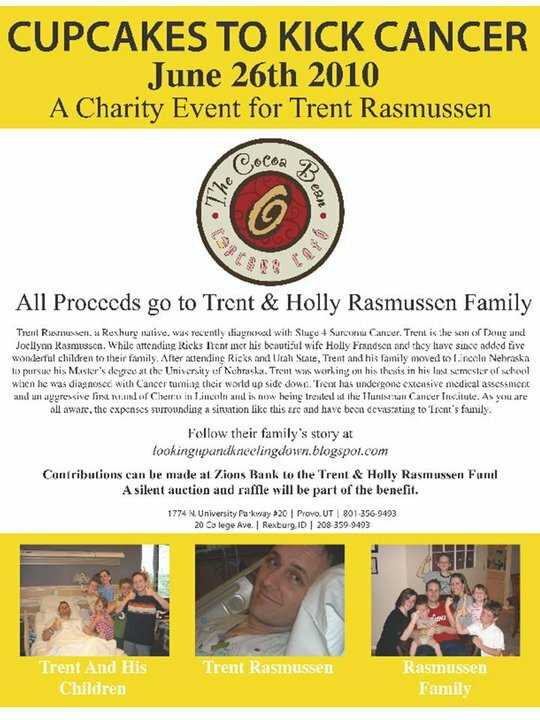 If you are wanting to donate directly to the family there has been an account set up at Zions Bank under the Trent and Holly Rasmussen Fund. Please forward this message to all of your friends-we would love to have as many people as we can come to support this event. It's your cousin, Nicole. 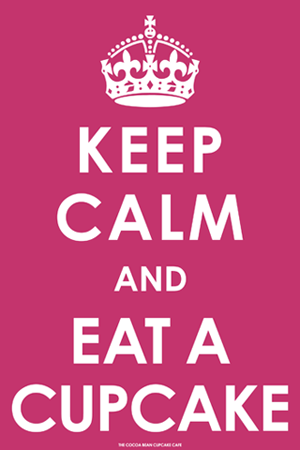 I'm excited to come Saturday and finally try the cupcakes I've heard so much about. I'm going to send out an email to my friends and neighbors to see if people want to pre-order some cupcakes for me to bring back after I come for the raffle. Can you email or call me with prices? My email is nicolemedia at gmail dot com. Looking forward to Saturday! Thanks for your support of our friend Trent. We are from their last ward in Nebraska and are glad to see that they are being cared for well in Utah.